Today, crypto-currencies have become a worldwide phenomenon known to most people. Banks, governments and many companies are aware of its importance. Industries from E-commerce development companies, Fintech to logistics, and digital marketing are all trying to justify its importance their use of crypto-currencies, even if they are still a little geeky and misunderstood by most people, but banks, governments, and many businesses are aware of its importance as a global digital transformation layer. The term cryptocurrency refers to cryptology and currency of course. Here, the term crypto reminds us of the Greek word Kruptos which means hidden. Moreover, it is used in the prefix to designate hidden or little-known practices as in cryptozoology. Be careful however, cryptocurrency does not mean hidden currency! Transparency is what makes this system a rolling business, we will come back to it later. Here, we speak of crypto in the sense that the information relating to the holders of funds is not retained by any “governing entity”. Nobody will remember your personal details. Cryptocurrencies are used as fiduciary money in general. They circulate for the payment of goods and services abroad according to the value which they are attributed. These values are of course predefined and are influenced by the popularity of cryptocurrency on the market. It should be known that cryptocurrencies that are losing popularity are also losing their value. The more cryptocurrency you have, the more you will be able to buy goods and services payable by this virtual currency. One YouTuber even experienced living with bitcoin cryptocurrency for 30 days and he kept his bet except in public transport. So, Cryptocurrency allows you to pay your rent, food, clothes, and much more if you go to sellers or renters who use it as an official bargaining chip. If you travel to the US for example, you will be able to fully enjoy the bitcoins you’ve saved recently. Aside from that, cryptocurrencies are also put on sale. To get some, you will have to buy some. However, it is possible to obtain it by other means, but so far it is the most adopted way in the world to have it. When you bought your cryptocurrency, you should always check the prices before spending them. Just to be vigilant, the best is to make sure you have real values before you do anything. Indeed, if you spend your virtual currencies when they lose in value you will be well disappointed. So, between buying and spending your cryptocurrency, you always have to be aware of trends. For virtual currencies to circulate, they must be verified. A competent institution must be able to verify each transaction to attest to the reality of the value circulating. In a classic world, audits are done by banks and various financial institutions. If we want to withdraw money from our bank card for example, the bank will check our available balance before granting us the amount we ask to have. In the field of cryptocurrencies, verifications are done on the blockchain or block chains. 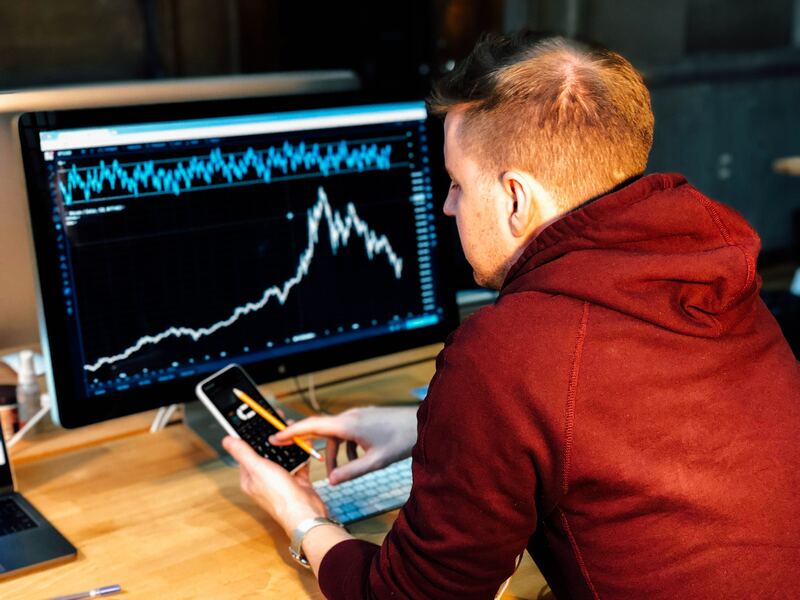 In addition, the blockchain is a set of calculators that take note of all cryptocurrency transactions that have been made since the very beginning. Whatever type of cryptocurrency we use, transactions will be recorded on the blockchain. In this network, each transaction forms a block and all transactions are visible to the general public. As the demand for computing power increases day by day, the blockchain must be supported by third-party computers. It can be you or me as anyone ready to lend the power of its processor to strengthen the system. Indeed, as all transactions are peer-to-peer exchanges must be followed closely by calculators. This is where mining comes in. So people who are willing to mine to help the network register on a mining platform. Then, they will simply lend the computing power of their computer so that the cryptocurrency network can work. In mining, minors receive a percentage in cryptocurrency. Generally, the miners receive Ethereum but they can exchange them in bitcoin. Cryptocurrencies began to invade the world of Internet users in 2013. Talking about bitcoin has become commonplace and winning Ethereum, ripple, Cardano, Bitcoin Cash and so on, has become normal. Of course, the trend is not yet global, but it is beginning to take over internationally. So, why are cryptocurrencies so fashionable? People who use cryptocurrency rely heavily on the value of each token (cryptocurrency unit) they use. But above all, cryptocurrencies are gaining value because they do not depend on any central bank in the world. Then, they greatly facilitate online payments because the exchanges are done with almost 0 fees. Cryptocurrency is also fashionable because it cannot be counterfeited. Indeed, thanks to the blockchain and the different strategies of hashing, it is almost impossible to usurp the tokens. Moreover, as everything is virtual and not related to government organizations and institutions, there are no coins or notes to counterfeit. Aside from this craze for values that do not depend on government, cryptocurrencies are also fashionable because they are very easy to transfer. Indeed, it only takes a few minutes to receive or issue tokens. Linked to this, costs are lower and ceilings are not defined. So, crypto coins are fashionable because they are easy to use, they can have great value and they are not conditioned by intermediaries. Everything is in the ease of manipulation of the values. It is a kind of international value that can be used more freely and in addition, is not taxable. How to buy and trade cryptocurrencies? To have cryptocurrency, nothing easier. Go to a sales site or broker to buy the cryptocurrency that interests you. Among the most well-known brokers are Coinbase, Coinhouse, etoro, Binance, Kraken, and Livecoin. When you buy cryptocurrency, the broker will take a commission, verify your identity, and deliver the token according to its price. Cryptocurrency trading To invest in cryptocurrency, many people opt for trading. Trading cryptocurrency is an activity that is gaining more and more ground because it allows you to earn money very quickly. However, the price of each token can vary in seconds so it is very important to stay alert. Vigilance is the order of the day, so you should pay attention to the curves disclosed by the trading sites when you enter this field. There are several cryptocurrency trading sites on the net. you just have to register to be active and start the investment with a minimum of funds ($ 1 can do the trick). If you want to trade cryptocurrency, train yourself first. You must acquire the basics and know the weak points and strengths of each token. Do not run away on Bitcoin. While it is prosperous but is not always advisable unless the day of trading is conducive. It would be best to see YouTube tutorials, get in touch with regulars or just take classes. In short, find out a minimum to avoid unpleasant surprises. If you are lucky enough to be perfect self-taught and have affinities with the business world however, getting started on the job might be interesting. In any case, cryptocurrency trading is like traditional trading. So, if you are an informed trader, you can also get started without worrying about training. Only, do the necessary to know the value of each token. Be shielded vis-à-vis knowledge. Take the time to read introductory pages of the most valuable tokens and even those with a definite future in the market. It is possible to train in cryptocurrency to know them better. Several sites dedicated to the field offer training dedicated to the tokens and the best ways to invest them. It is mainly about trading but you would have the best bases by registering on these sites. Even if you do not know anything about cryptocurrencies, you can, of course, register on these sites. The advantage of integrating online communities that form is the ability to make applications faster. If you are not too interested in these communities, you can always train directly with the people advised. By registering with Crypto Revolution, for example, you will be able to find different reasons to invest in the cryptocurrencies. You will actually learn how the system works. You will even be able to find the interest of investing in altcoin or rather altcoins. Indeed, it is not just bitcoins on the market in terms of payment cryptocurrency. Altcoins or “alternative bitcoins” represent a growing value and you have to find out. Learn the different facets of all these tokens by forming yourself. This is the best advice you can get if you plan to put your money in the cryptocurrency. Few people know this, but crypto-currencies have emerged as a by-product of another invention. Satoshi Nakamoto, the unknown inventor of Bitcoin, the first and ever-largest cryptocurrency, has never intended to invent a currency. His goal was to invent something; many people have failed to create digital currency before. The most important part of Satoshi’s invention was that he found a way to build a decentralized digital currency system. In the 1990s, there were many attempts to create digital money, but they all failed. After seeing all centralized attempts fail, Satoshi tried to build a digital currency system without a central entity. Like a Peer-to-Peer network for file sharing. This decision gave birth to cryptocurrency. Satoshi found the missing coins to make digital cash. The reason is a bit technical and complex, but if you understand it, you’ll know more about cryptocurrencies than most people. So, let’s try to make things as easy as possible. To make digital currency or cryptocurrency, you need a payment network with accounts, balances, and transactions. It’s easy to understand. A major problem that every payment network has to solve is to avoid what is called the double expense: to prevent an entity from spending twice the same amount. Usually, this is done by a central server that keeps a balance register. In a decentralized network, you do not have this server. So you need each network entity to do this work. Each peer in the network must have a list of all transactions to check if future transactions are valid or if they are attempting to split a transaction. But how can these entities maintain consensus on these recordings? If network peers do not agree on a single balance, no matter how small, everything is compromised. They need an absolute consensus. Usually, you take, once again, a central authority to declare the correct status of the balances. But how to reach a consensus without a central authority? Nobody knew it until Satoshi came out of nowhere. In fact, nobody thought it was even possible. Satoshi proved it was. Its main innovation has been to reach a consensus without a central authority. Crypto-currencies are part of this solution – the component that has made the solution exciting, fascinating, and has helped it spread around the world. Let’s look at the mechanism that governs crypto-currency databases. A cryptocurrency like Bitcoin consists of a network of peers. Each pair has a record of the complete history of all transactions and therefore the balance of each account. A transaction is a file that says “Bob gives X Bitcoin to Alice” and is signed by Bob’s private key. This is basic public key cryptography, nothing special at all. After the signature, a transaction is broadcast on the network, sent from one peer to another. This is the basic p2p (peer-to-peer) technology. Nothing special, again. The transaction is known almost immediately by the entire network. But it is only after a certain time that it is confirmed. Confirmation is a critical concept for crypto-currencies. One could say that crypto-currencies are essentially a question of confirmation. As long as a transaction is not confirmed, it is pending and may be counterfeit. When a transaction is confirmed, it is engraved in stone. It is no longer falsifiable, it can not be reversed, it is part of an immutable record of historical transactions: the so-called blockchain. Only minors can confirm transactions. It’s their job in a cryptocurrency network. They take the transactions, mark them as legitimate and broadcast them in the network. After a transaction is confirmed by a minor, each node must add it to its database. She is now part of the blockchain. For this work, minors are rewarded with a token of cryptocurrency, for example with Bitcoins. Since the activity of the minor is the most important part of the cryptocurrency system, we should dwell there for a moment and take a closer look. What are cryptocurrency miners doing concretely? In principle, everyone can be minor. Since a decentralized network does not have the power to delegate this task, a cryptocurrency needs a mechanism to prevent a dominant party from abusing it. Imagine that someone creates thousands of peers and spreads fake transactions. The system would disorganize immediately. Thus, Satoshi has established the rule that miners need to invest some of the work of their computers to qualify for this task. In fact, they have to find a hash – a product of a cryptographic function – that connects the new block to its predecessor. This is called Proof-of-Work. For Bitcoin, it is based on the SHA 256 Hash algorithm. You do not need to understand the details of SHA 256. It is only important that you know that it is the basis of a cryptological puzzle that miners compete to solve. After finding a solution, a minor can build a block and add it to the blockchain. As an incentive, he has the right to add a transaction called “coinbase” which gives him a specific number of Bitcoins. This is the only way to create valid Bitcoins. Bitcoins can only be created if minors solve a cryptographic puzzle. 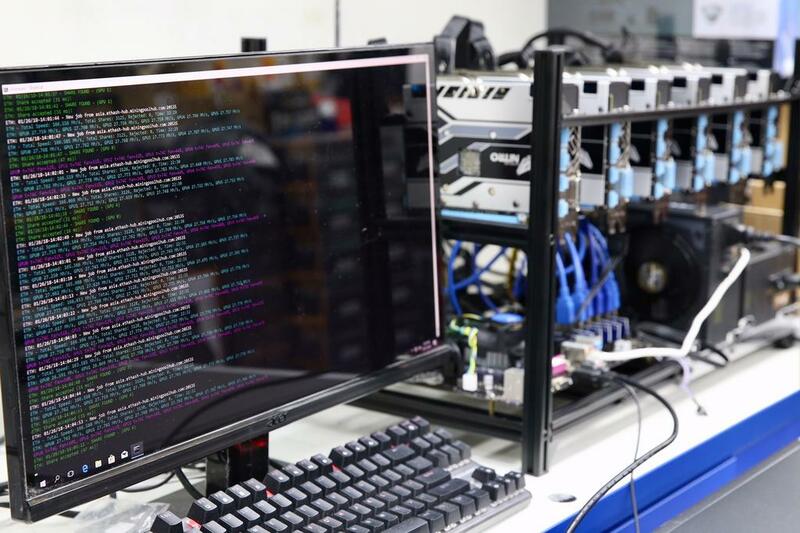 Since the difficulty of this puzzle increases the power level of the computer that the miner has to provide, there is only a specific amount of cryptocurrency token that can be created in a given amount of time. This is part of the consensus that no network peer can transgress. If you think about it, Bitcoin, as a decentralized network of peers that maintain a consensus on accounts and balances, is more of a currency than the numbers you see in your bank account. What are these numbers more than database entries – a database that can be edited by people you do not see and by rules you do not know? Basically, crypto-currencies are token entries in decentralized consensus databases. They are called CRYPTO currencies because the consensus maintenance process is secured by strong cryptography. Crypto-currencies are built on cryptography. They are not guaranteed by people or by trust, but by mathematics. An asteroid is more likely to fall on your house than a bitcoin address is compromised. To describe the properties of crypto-currencies, we have to separate the transactional and monetary properties. Although most crypto-currencies share a set of common properties, they are not engraved in stone. Transactional properties Irreversible: After confirmation, a transaction cannot be canceled. Per person, and nobody means nobody. Neither you, nor your bank, nor the President of the United States, nor Satoshi, nor your minor. Nobody. If you send money, you send it. Nobody can help you, if you sent your funds to a scammer or if a hacker stole them from your computer. There is no safety net. Pseudo-Anonymous: Neither transactions nor accounts are linked to real-world identities. You receive Bitcoins on so-called addresses, which are strings of about thirty characters that seem random. Although it is generally possible to analyze the flow of transactions, it is not necessarily possible to relate the real identity of users to these addresses. Fast and global: Transactions are spread almost instantly across the network and confirmed in minutes. Because they occur in a global network of computers, they are completely indifferent to your physical location. It does not matter if I send Bitcoin to my neighbor or someone on the other side of the world. 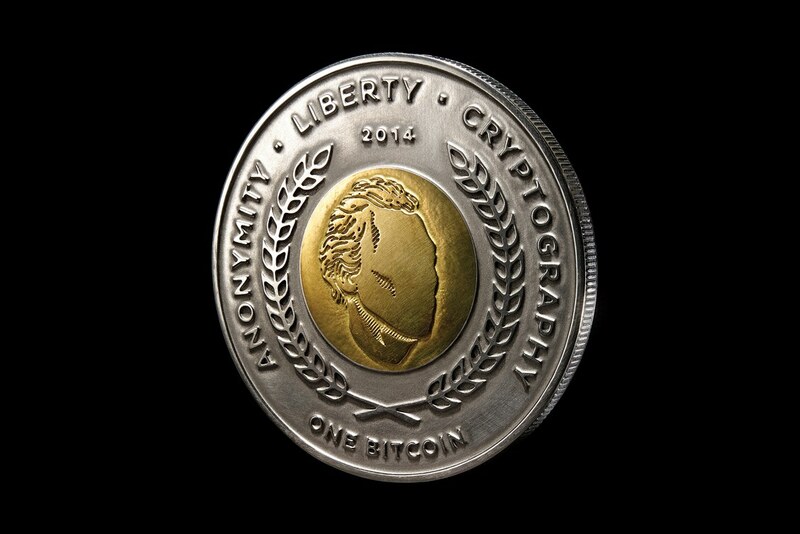 Secure: Cryptocurrency funds are locked in a public key cryptography system. Only the owner of the private key can send cryptocurrency. Strong cryptography and the magic of large numbers makes it impossible to break this pattern. A Bitcoin address is safer than Fort Knox. Without permission: You do not need to ask anyone to use cryptocurrency. This is the only software that everyone can download for free. After installing it, you can receive and send Bitcoins or other crypto-currencies. Nobody can stop you. There is no guard. Cryptocurrencies: the dawn of a new economy Due mainly to their revolutionary properties, crypto-currencies have become a success. Their inventor, Satoshi Nakamoto, did not venture to dream of it. While all other attempts to create a digital currency system did not attract a critical mass of users, Bitcoin had something that provoked enthusiasm and fascination. Sometimes it’s more like religion than technology. Cryptocurrencies are digital gold. A healthy currency and free from political influence. Money that promises to preserve and increase its value over time. Cryptocurrencies are also a fast and convenient means of payment with a global reach, and they are sufficiently private and anonymous to serve as a means of payment for black markets and other illegal economic activity. Bitcoin – The first cryptocurrency. The one and only, the first and most famous cryptocurrency. Bitcoin serves as a digital gold standard throughout the cryptocurrency industry. It is used as a means of global payment and is de facto the currency of cybercrime such as darknet markets or ransomware. Ethereum – The reference cryptocurrency. The concept of young Vitalik Buterin rose to second place in the cryptocurrency hierarchy. Unlike Bitcoin, its blockchain not only validates a set of accounts and balances but also so-called states. This means that Ethereum can not only process transactions, but also complex contracts and programs. This flexibility makes Ethereum the perfect instrument for blockchain application. But that has a cost. After the hack of the DAO – a smart Ethereum-based contract – the developers decided to make a solid fork without consensus, which resulted in the emergence of Ethereum Classic. In addition to that, there are several Ethereum clones, and Ethereum itself is a host of several Tokens like DigixDAO and Augur. This makes Ethereum a family of crypto-currencies rather than a single currency. Ripple – A cryptocurrency for finance. Perhaps the least popular – or most hated – project in the cryptocurrency community is Ripple. While Ripple has a native cryptocurrency – XRP – it’s more of a network for dealing with IOUs than cryptocurrency itself. XRP, the currency, is not used to store and exchange value, but rather to protect the network against spam. Banks, however, seem to like Ripple. In any case, they are adopting the system at an increasing pace. Litecoin – A lighter cryptocurrency. Litecoin was one of the first crypto-currencies after Bitcoin and was labeled as silver compared to digital gold bitcoin. Faster than Bitcoin, with a larger amount of token and a new mining algorithm, Litecoin was a true innovation, perfectly suited to be the smallest brother of bitcoin. “It has facilitated the emergence of several other crypto-currencies that have used its code base but made it even lighter.” Examples are Dogecoin or Feathercoin. While Litecoin failed to find a real use case and lost its second place after Bitcoin, it is still actively developed and exchanged and is stored as a backup in case Bitcoin fails. Monero – An anonymous cryptocurrency. Monero is the most important example of the cryptonite algorithm. This algorithm was invented to add the missing privacy features to Bitcoin. If you use Bitcoin, every transaction is documented in the blockchain and the transaction trace can be tracked. With the introduction of a concept called ring signature, the cryptonite algorithm has been able to break out of this path.In addition to these, there are hundreds of crypto-currencies of several families. Most of them are nothing more than attempts to reach investors and make quick money, but many promise playgrounds to test innovations in cryptocurrency technology. What is the future of cryptocurrency? The cryptocurrency market is fast and wild. Almost every day, new crypto-currencies appear, old ones die, first-time adopters get richer and investors lose money. Every cryptocurrency comes with a promise, most of the time a great story to change the world. Few survive the first few months, and most are pushed and abandoned immediately by speculators and live like zombie coins until the last of the holders loses hope of seeing a return on his investment. The markets are dirty. But that does not change the fact that crypto-currencies are here to stay – and here to change the world. It’s already happening. People around the world are buying Bitcoin to protect themselves against the devaluation of their national currency. Especially in Asia, a live market for Bitcoin remittances has emerged, and Bitcoins using darknets of cybercrime are flourishing. More and more companies are discovering the power of smart contracts or tokens on Ethereum, the first real application of blockchain technologies. The revolution is already underway. Institutional investors are starting to buy cryptocurrencies. Banks and governments are realizing that this invention has the potential to make them lose control. Crypto-currencies change the world. Step by step. You can both sit beside and watch – or you can be part of the story being worked on. How to effectively anticipate the price of bitcoin? Let’s discuss some effective ways to predict the price of bitcoin for day trading. There are basically two methods for forecasting bitcoin prices using. Fundamental analysis – a method of valuing a security that entails attempting to measure its intrinsic value by examining related economic, financial and other qualitative and quantitative factors. 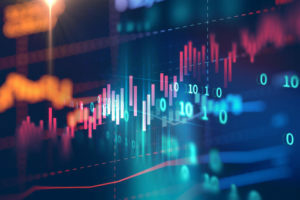 Technical analysis – a trading discipline employed to evaluate investments and identify trading opportunities by analyzing statistical trends gathered from trading activity, such as price movement and volume. Cryptocurrency is a very broad subject, but more or less easy to understand. Cryptocurrency is being used little by little in today’s society. If major financial institutions fear the rise of these virtual values, we must place some confidence in the practice. In addition, cryptocurrencies can be converted into currency according to their nature. So, they are another way to make sure investments. Only, there is no point in rushing. It is necessary to take the time to get information and training because the area can be quite delicate as the value of the tokens varies from minute to minute.